A clawback or clawback provision is a special contractual clause typically included in employment contracts by financial firms, by which money already paid must be paid back under certain conditions. The term also is in use in bankruptcy matters where insiders may have raided assets prior to a filing, and in Medicaid, when a state recovers costs of long-term care or covered medical expenses from the estates of deceased Medicaid patients. The aim of the clause is to secure an option for an employer or trustee to limit bonuses, compensation or other remuneration in case of catastrophic shifts in business, bankruptcy, and national crisis as the financial crisis of 2007–2008, and for states to recoup the cost of administering Medicaid services. The term clawbacks or claw backs can also be used to refer to any money or benefits that have been given out but need to be returned due to special circumstances or events, which are mentioned in a contract. The employees' bonuses are, in a clawback scheme, tied specifically to the performance (or lack thereof) of the financial product(s) the individual(s) may have created and/or sold as part of his or her job expecting a high profit. If the product does indeed do well over a long period of time, and permanently improves the nature of the firm, the bonuses paid to the individual are allowed to be retained by the individual. However, if the product fails, and damages the nature of the firm—even years down the line from the product's inception—then the firm has the inherent right to revoke, reclaim, or otherwise repossess some or all of the bonus amount(s). However, research shows managers who are subject to clawback provisions that are newly in place in a company often try to offset their increased risk of bonus clawback by demanding an increase in base salary that is not subject to being clawed back. The prevalence of clawback provisions among Fortune 100 companies increased from lower than 3% prior to 2005 to 82% in 2010. The growing popularity of clawback provisions is likely, at least in part, due to the Sarbanes-Oxley Act of 2002, which requires the U.S. Securities and Exchange Commission (SEC) to pursue the repayment of incentive compensation from senior executives that are involved in a fraud. In practice, the Securities and Exchange commission has enforced its clawback powers in only a small number of cases. The usual objective of a clawback provision is to deter managers from publishing incorrect accounting information. Academic research finds that voluntarily adopted clawback provisions appear to be effective at reducing both intentional and unintentional accounting errors. The same study also finds that investors have greater confidence in a firm's financial statements after clawback adoption, and that boards of directors place greater weight on accounting numbers in executive bonuses after a clawback is in place (i.e., pay for performance sensitivity increases). 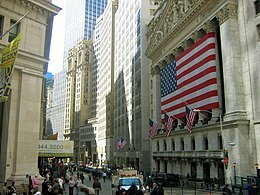 According to a December 2010 New Yorker magazine article, the clawback phenomenon pursued by banks and other financial groups directly and/or indirectly responsible for the financial crisis has been used by the chief administrators of those institutions in order to make the case that they are presently taking tangible self-corrective action to both prevent another crisis (by supposedly dis-incentivizing the sorts of shady investment-product behavior displayed by their people in the recent past) and to appropriately punish any potential future activity of a similar or identical sort. However, the case is made in The New Yorker article (which cites several professional economists who agree with its perspective) that it is probably unlikely that either result will become the case, and The New Yorker article also alleges that the people making this argument may not even truly believe it, but are instead promoting it as a sort of public relations tactic until such time as the impact of the financial crisis fades and similar (perhaps near-identical) abuses of the financial system can slowly and quietly resume, with minimal or no detection by outside forces. In the past, clawback phenomena have been used primarily in securing tax incentives, abatements, refunds and grants. Clawbacks are distinguished from repayments or refunds as they involve a penalty in addition to a repayment. amount of depreciated value in a given time. More unusual measures are retaining a headquarters at a specific site for a period of time, amount of production increase or production cost decrease per unit or the requirement to bring a given technology to a commercial market. The recipient will be required to return the monetary value of the incentive plus a penalty and/or interest to the grantor of the incentive, usually a local or state taxing authority. As the use of incentives mature over time, it is sometimes alleged[who?] that the triggering of clawbacks for non performance will likely become more ubiquitous. Clawbacks can be understood to be the contractual elements that stand between the drive for economic development and community development and the slippery slope of corporate welfare. They are highly controversial and are utilized as community based guarantees for some expectation of performance. The site location industry normally tries to eliminate or reduce any such promises as part of their negotiations. Clawbacks are also used by most banks and lenders to recover money from "unprofitable" home loans. This is usually done when the borrower pays back the loan in a short period of time, usually within 24 months of the loan advancement. In Australia this fee is usually 0.77% of the total loan amount for loans paid back within the first 12 months after the settlement and 0.385% within 24 months. If a borrower is using a mortgage broker for their home loan, then the broker will usually charge them this amount. ^ "Clawback suit seeks $420K from US transportation secretary concerning in-house counsel pay". American Bar Association. ^ a b c Cassidy, John (November 29, 2010). "What Good Is Wall Street? Much of what investment bankers do is socially worthless". ^ "Focus on Clawbacks". C-Suite Insight. 2011. Archived from the original on 2013-01-18. Retrieved 2012-05-16. ^ "Listing Standards for Recovery of Erroneously Awarded Compensation" (PDF). SEC.gov. Retrieved February 10, 2018. ^ "Cover". Business Facilities. Archived from the original on 2006-11-13. Retrieved 2006-09-13. ^ a b "Reform". Good Jobs First. Archived from the original on 2006-08-23. Retrieved 2006-09-13. ^ "Homem page". International Economic Development Council. This page was last edited on 13 November 2018, at 17:40 (UTC).